2 Tier cake with 6" and 9" round tiers decorated with a Magnolia, Chevron design & In-stock numbers. 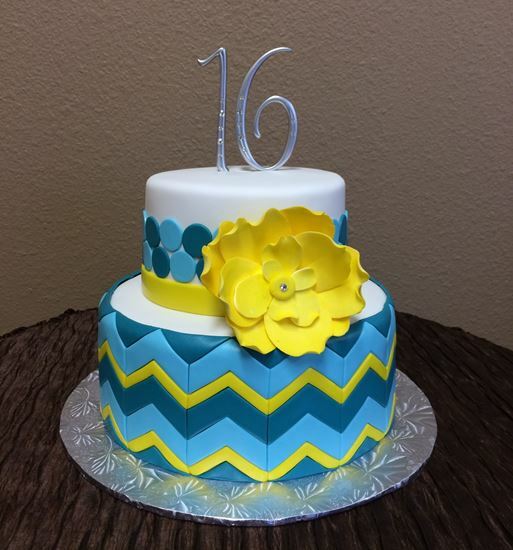 Chevron design must be done on Fondant. Serves 20 - 30 slices.